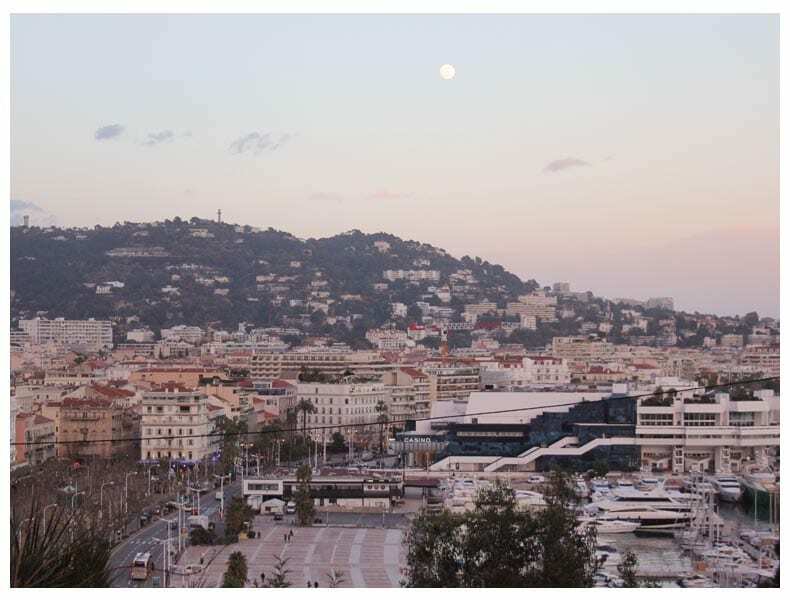 Cannes has been made famous by the legendary Cannes Film Festival which is held annually in the idyllic Riviera city. 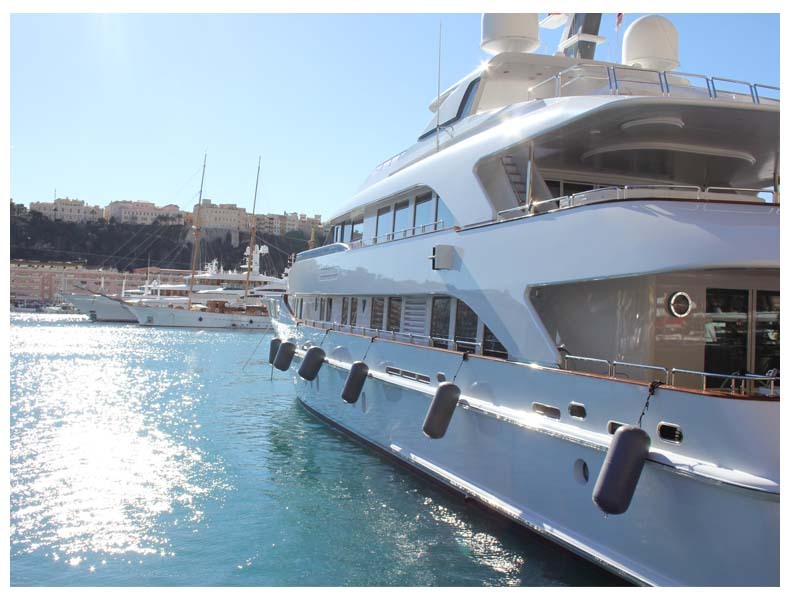 The pristine yacht lined harbour lends itself seamlessly as a backdrop to Hollywoods finest. Walking around it’s easy to see why Cannes is twinned with Beverley Hills. 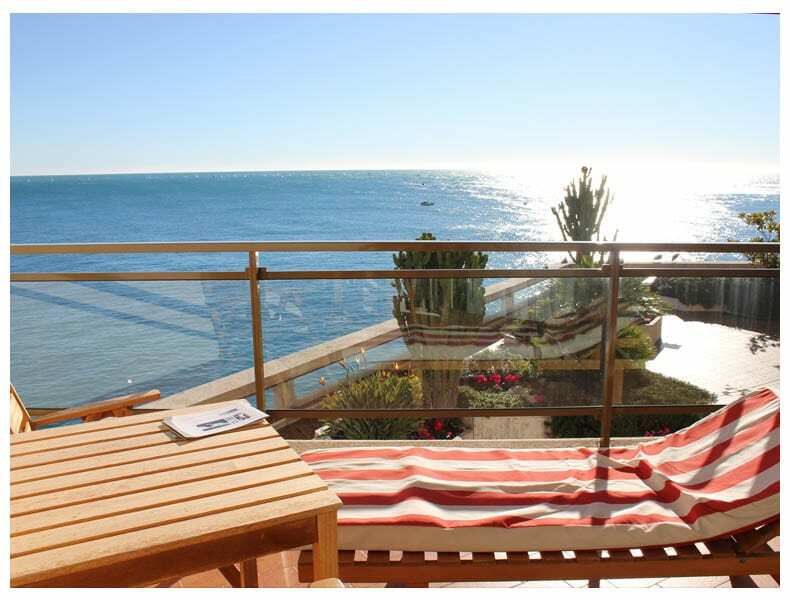 If the Riviera is like the California of Europe, then Cannes would certainly be Rodeo-Drive-On-Sea. As you walk around expect to see lots of small dogs to squeal at, ladies with noticeably large lips and beautifully blow-dryed hair, luxury boutiques, restaurants and fancy cars. 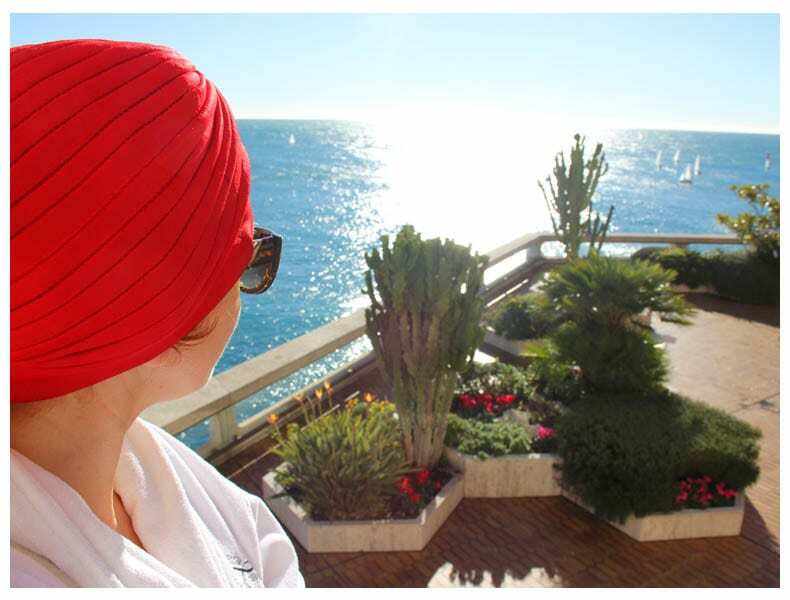 Cannes faultlessly combines the glamour of Beverly Hills with historical European opulence. Shop hard: If you love to shop, there’s no better place to indulge. 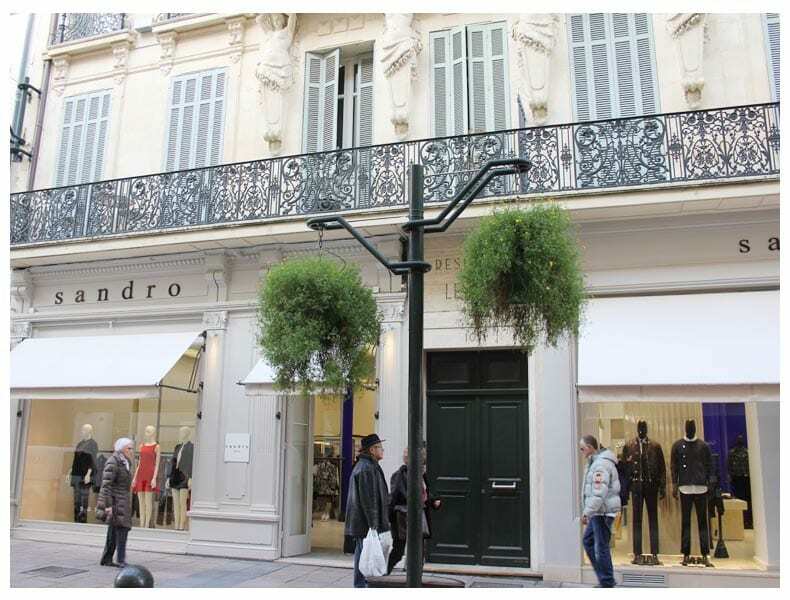 The streets in Cannes are spotless, you won’t find yourself battling through hoards of shoppers either, the pace of life is calm, relaxed and it’s a pleasure to wander in and out of boutiques and well-known shops. 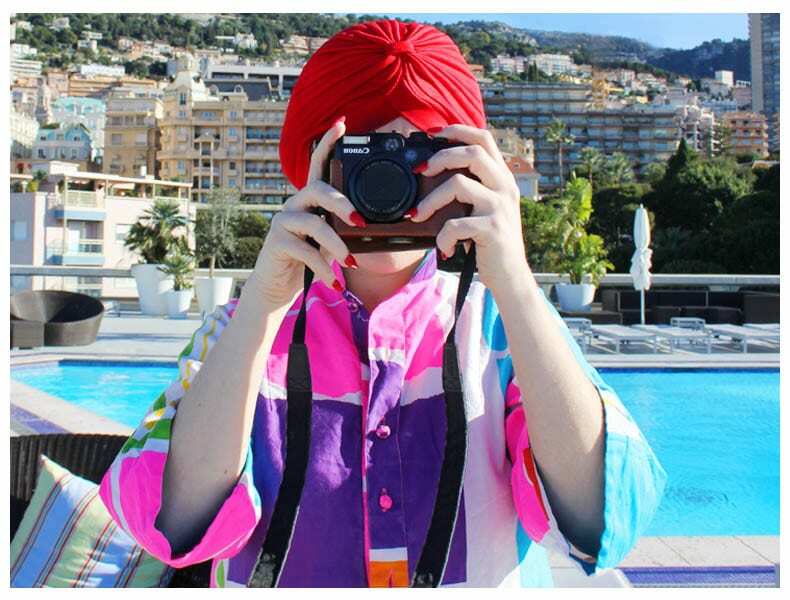 If you’ve got cash/ money/ bling to spend the La Croisette is probably the street for you, selling all kinds of famous designers like Dior and Hermes. If you’re on a less extravagant budget, there are heaps of local independent boutiques, popular high-street chains with everything from Zara to H&M. Indulge in dinner: Nestled amongst the shops are cafes, bars and restaurants offering outdoor seating to truly experience the laid back Riviera way of life. Expect to pay around 20Euros upwards for a main course. 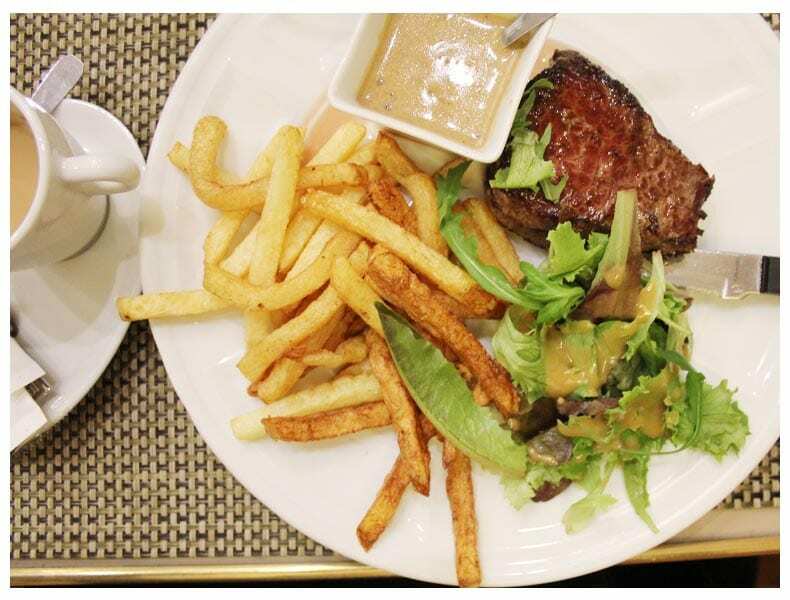 We opted to treat ourselves to a steak and French fries at the Pause Cafe (39 Rue Hoche, 06400 Cannes, France) the service was excellent, the food was delicious and set us up for a day of exploration. 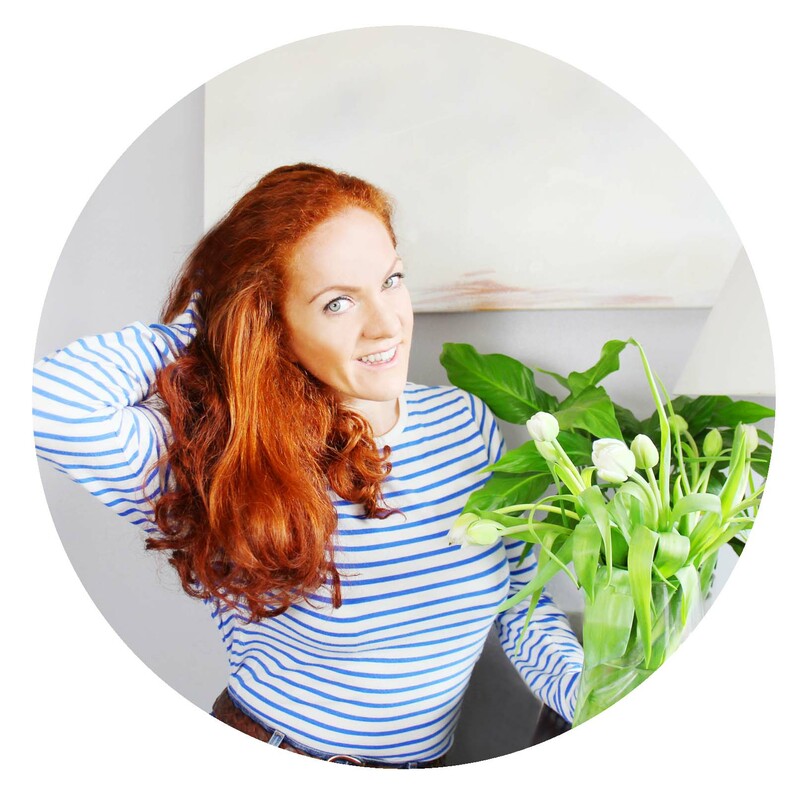 Pick up flowers: To my delight there are flowers everywhere on the Riviera, growing up the sides of buildings, fresh cut flowers on the table of every restaurant and on sale in the numerous florists. Unlike many things on the Riviera, flowers are reasonably priced (if not surprisingly inexpensive). 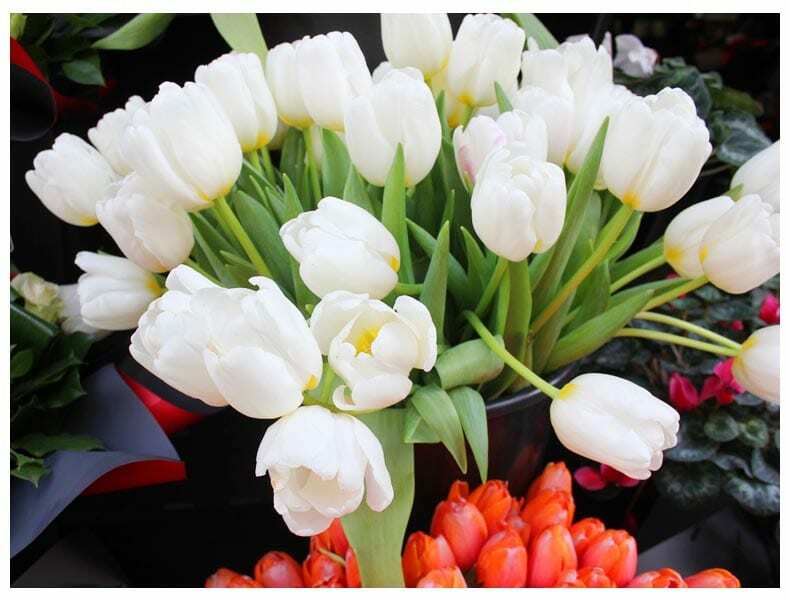 Cannes is no exception with a number of flower shops dotted around the city with impressive offerings of brightly coloured, freshly cut flowers. These tulips made me smile, knowing that spring is on it’s way. 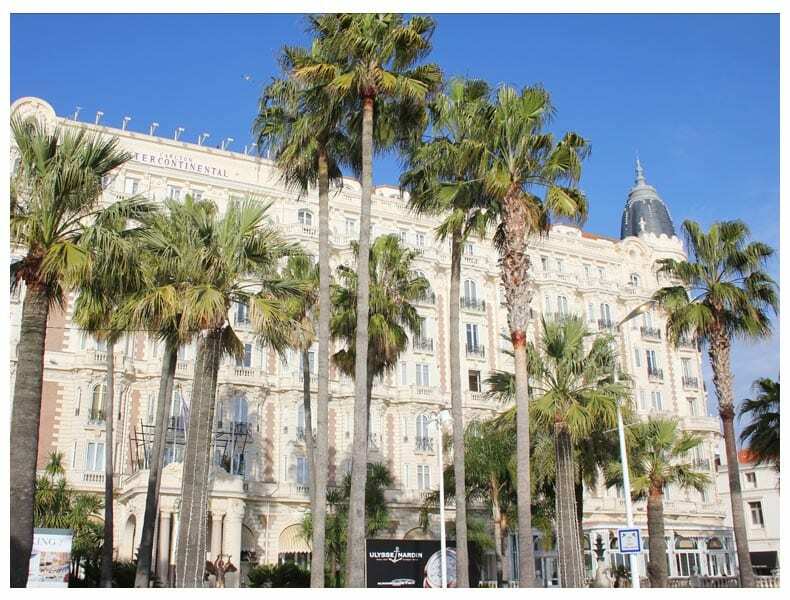 Enjoy the fabulous hotels: Cannes has a pretty impressive selection of luxury hotels along the seafront. 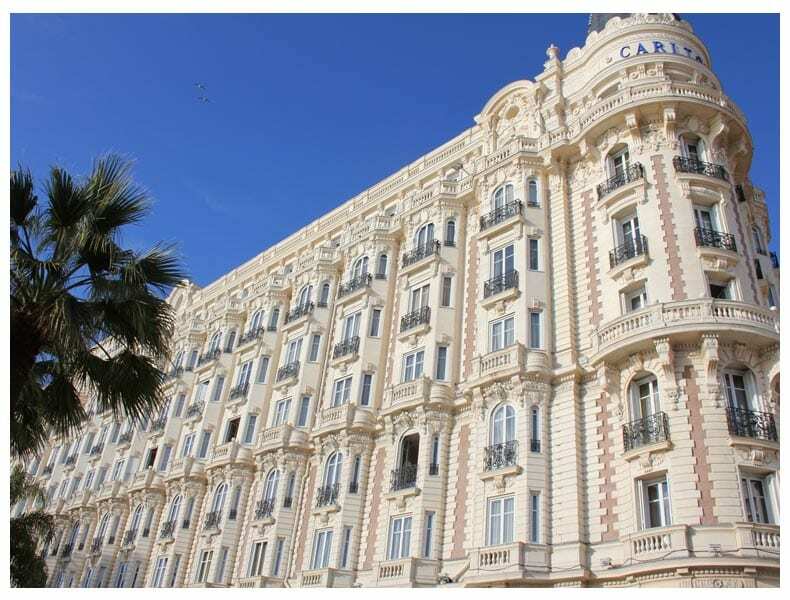 The InterContinental Carlton Hotel overlooks the Mediterranean Sea, built in classic French style, the hotel’s Belle Epoque façade overlooks the Bay of Cannes and plays host to an array of prestigious guests throughout the year. The palm tree lined streets and endless blue skies remind me so much of California. 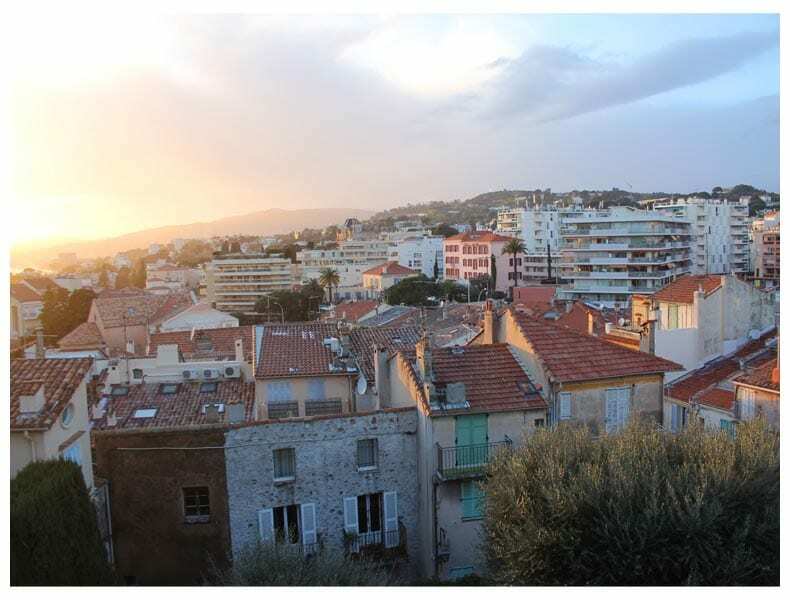 Head to the beach: The Cannes coastline is stunning with sandy beaches. The coastline runs 15km from the foothills of the Esterel mountains to the eastern city limits and including the Iles de Lerins. About 7.5km of the Cannes coastline is beach. There are 13 public beaches, two muncipal beaches and 33 private beach restaurants. 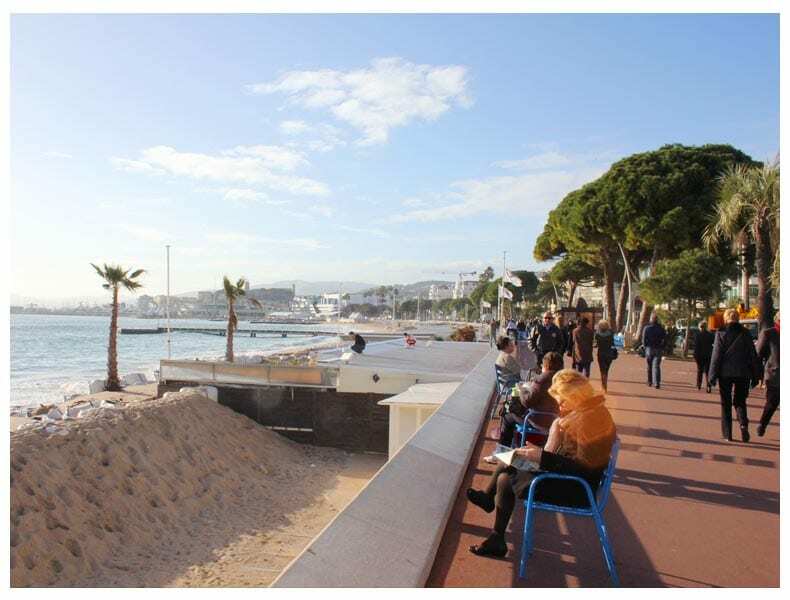 Along the promenade are benches to sit and enjoy the view, watch the boats sail in and out of the harbour and stare at the horizon. 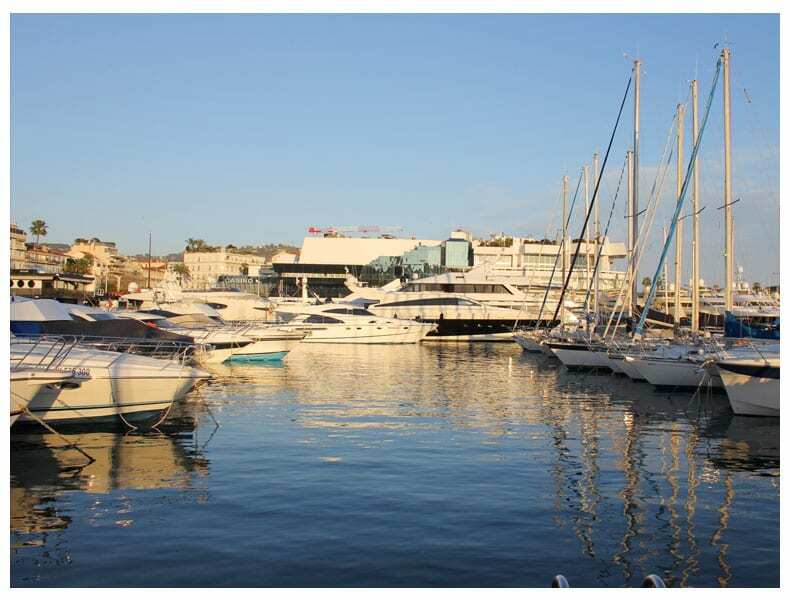 Hit the harbour: Similarly to Monaco, Cannes harbour houses a huge amount of luxury yachts and sail boats. We walked along the jetty as the sun was going down. 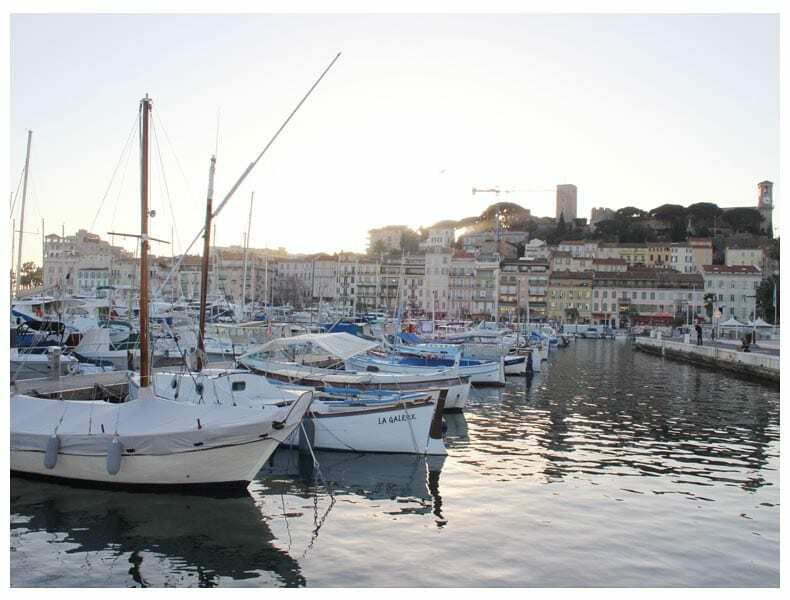 The harbour is picture perfect sat in front of Cannes old town, the contrast of the old traditional buildings lining the hill top against the sparkly sailboats is quite a sight. There’s something quite therapeutic about the listening to the sound of moored boasts gently clanking against one another and the faint sound of the ocean slapping against the harbour wall. Hike to the old town: The old town sits just above the harbour and is short ‘hike’ (you won’t need hiking boots, it’s more of a walk up a hill really) up a moderate incline. 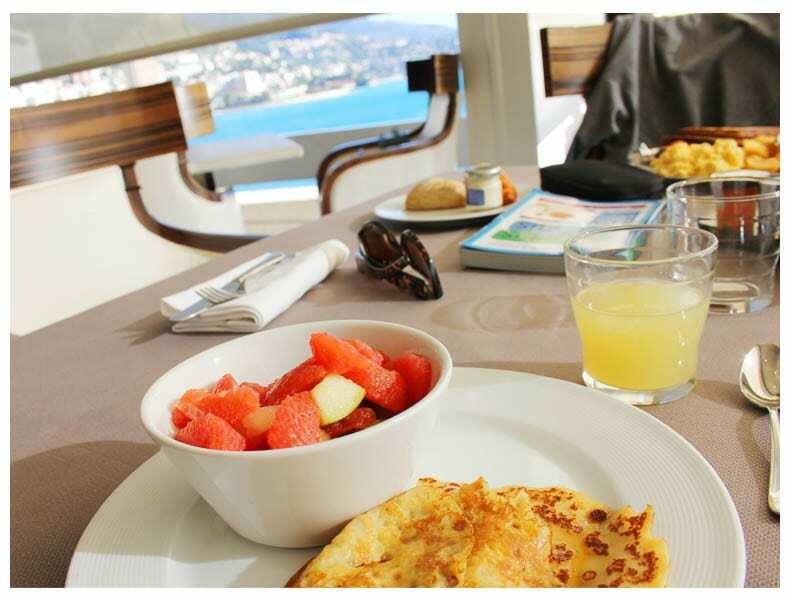 ‘Le Suquet’ is where you’ll find cafes and shops frequented by locals. The old town is only small but well worth a visit of you’re in the area. As the sun was going down we decided to climb to the church on top of the hill to look out over the city. 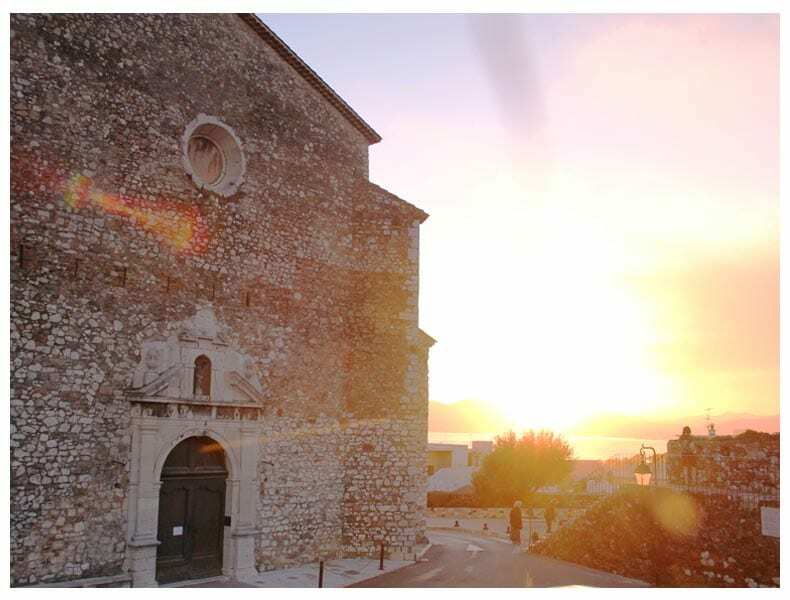 Watch the sun go down: We stood just in front of the Medieval church on top of the hill, looking out we could see the whole city, the panoramic view was incredible. On one side of the hill was the sun setting and the other, the moon. The sky faded from purple through to blue, from pink to orange. Fabulous. 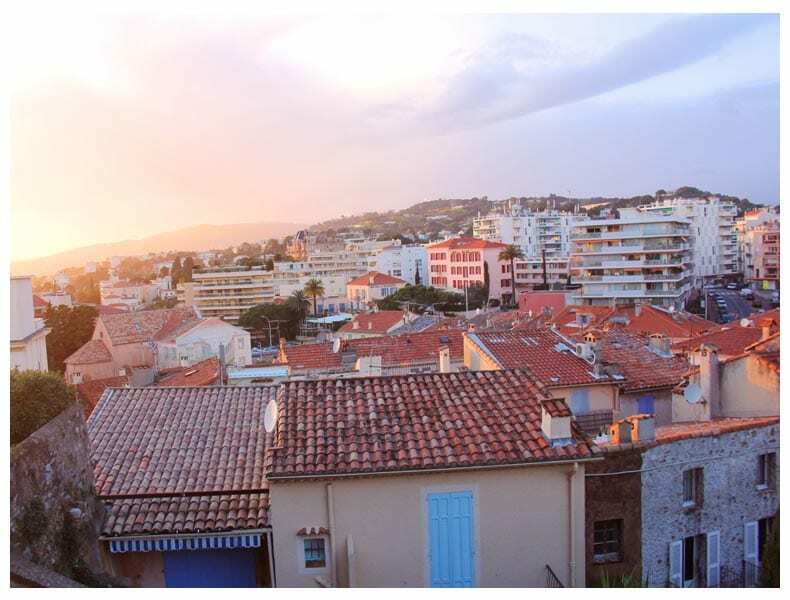 Cannes is easy to fall in love with. The sunshine, shopping, sandy beaches, food, flowers, history, sunsets, what’s not to like? 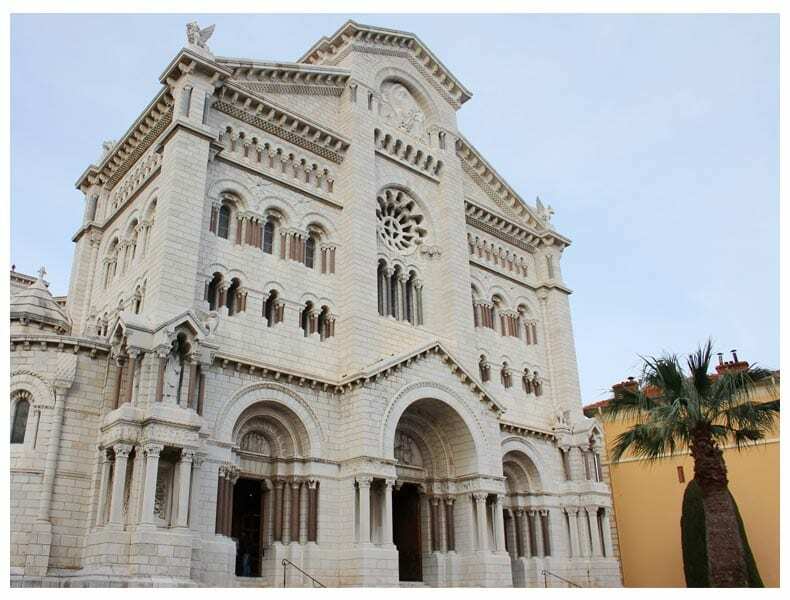 The French Riviera has long been a luxury travel destination, it began as a winter health resort for the British upper class at the end of the 18th century. The arrival of the railway in the mid-19th century made it the playground of British, Russian and other aristocrats. 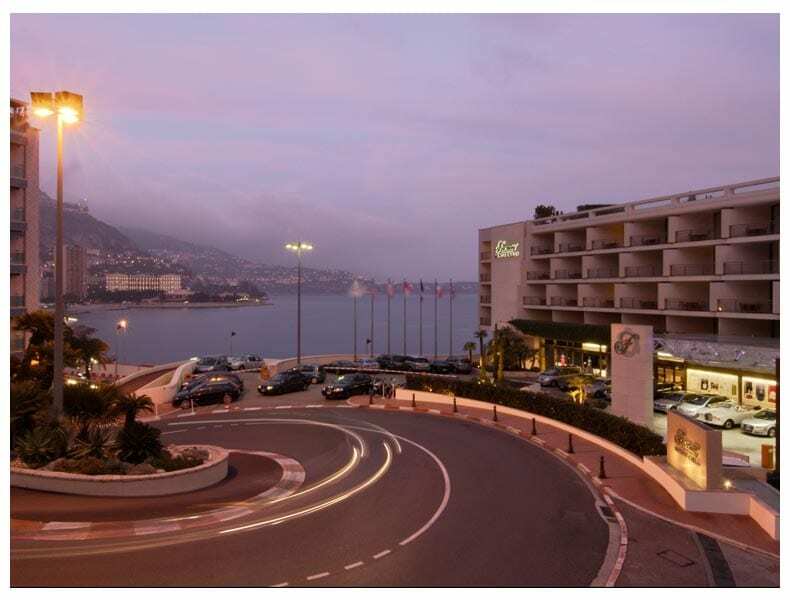 Travel in style: If you arrive from Nice airport, a popular choice for travelling to Monaco is by helicopter which offers the chance to see the picturesque coastline from a birds-eye view. 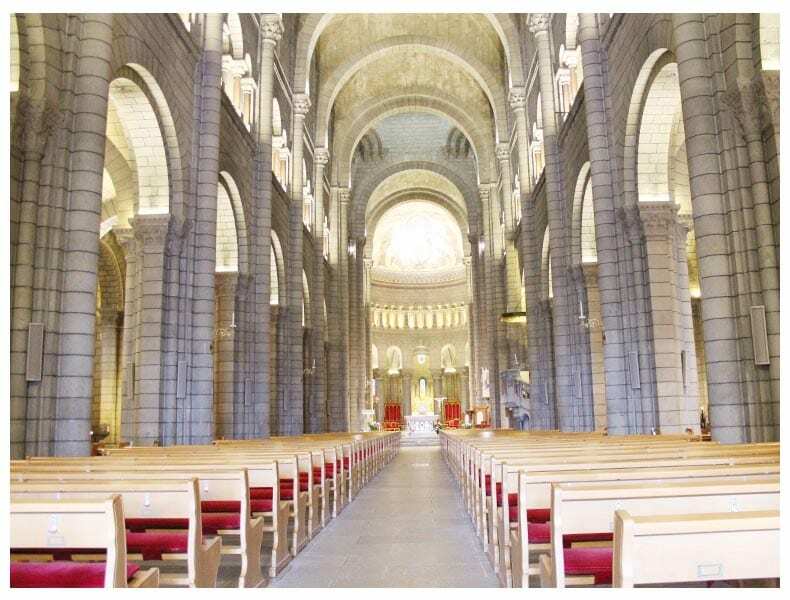 If you arrive at night, you could opt for a luxury limousine service in Nice or a coach service from the airport, which will drop you at the door of your hotel. The Harbour: Once settled in Monaco head to the harbour. 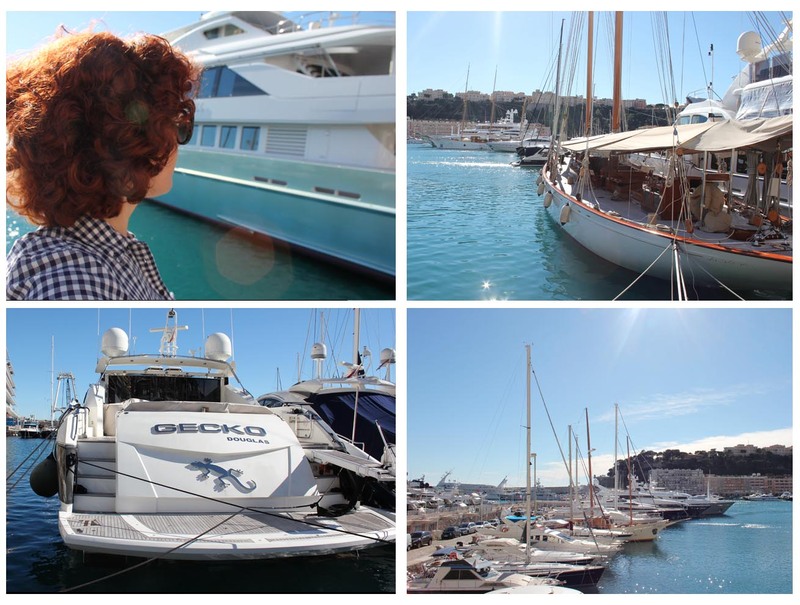 There are hundreds of luxury yachts and sailboats to marvel at. If you’ve learnt anything from Marilyn Monroe in ‘Some Like it Hot’ perhaps you’ll get invited onto a yacht to party, who knows what could happen?! 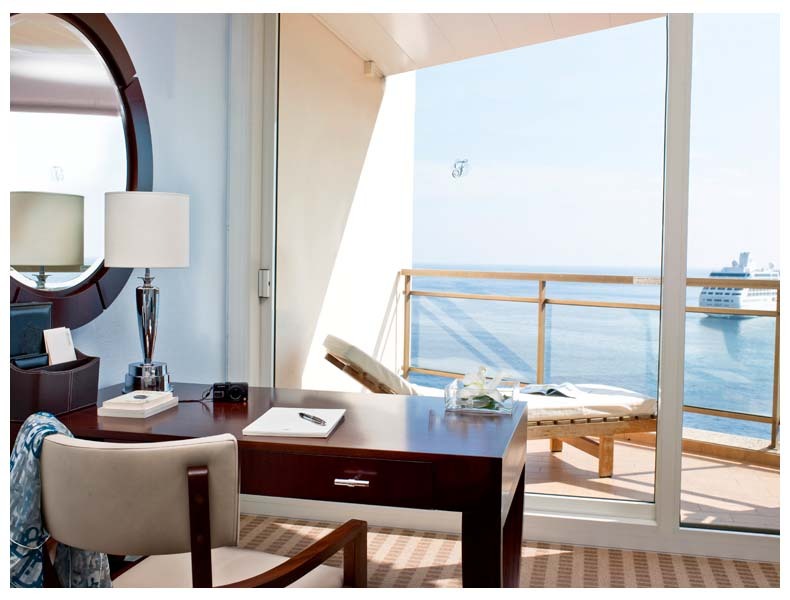 Alternatively you could indulge in a luxury yacht cruise complete with private skipper. 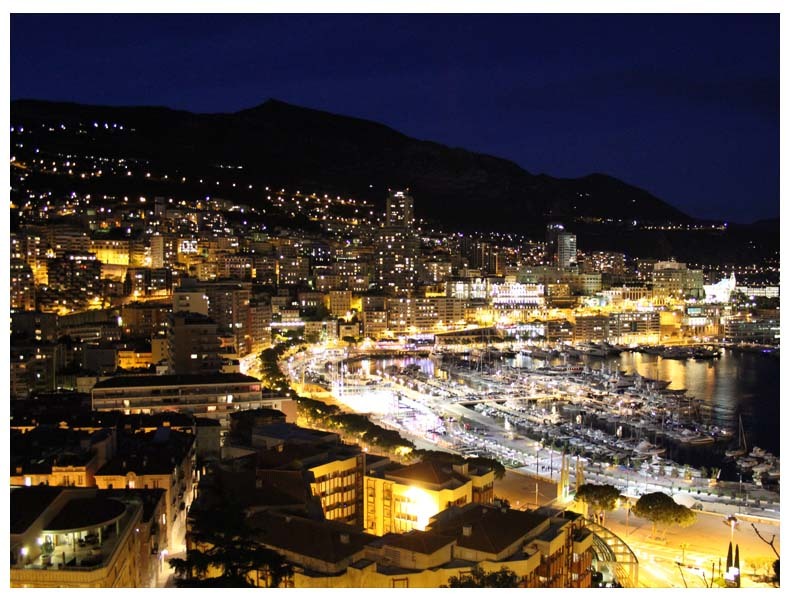 The Rock of Monaco: The Rock of Monaco was the first conquest of the Grimaldi dynasty, the rulers of the country for more than 700 years. The Rock can be seen from the Harbour and reached via a short walk up the ancient steps. Although the Rock appears to be quite high from Harbour level, the walk up to the top is surprisingly easy and well worth it! 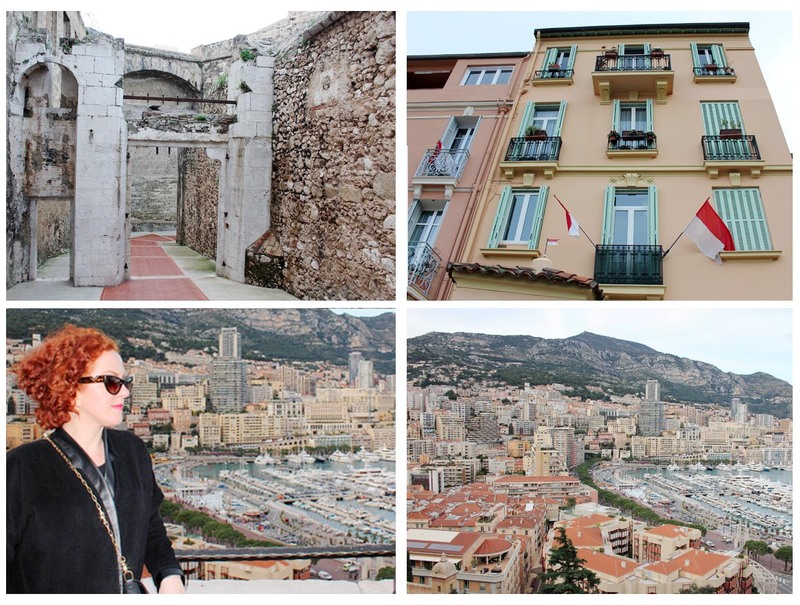 As you reach the top you’ll pass through an ancient archway, see the stunning view over the harbour and be surrounded by incredible historical buildings including the Cathedral, Prince’s Palace and Oceanographic Museum of Monaco. There are loads of shops, bars and cafes nestled within the narrow crooked streets, surprisingly the cafes and restaurants on top of the Rock are very reasonably priced with dinner costing around 10Euro for a main course or traditional crepes for around 3Euros. 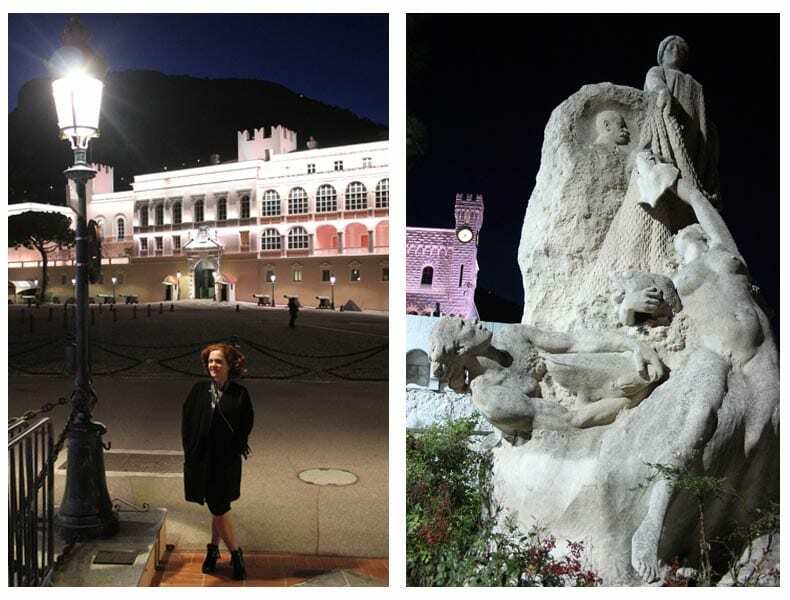 The Prince’s Palace of Monaco: Stood on top of the Rock and beautifully lit at night, it’s hard to believe the Palace is real and not a fantasy imagined by Walt Disney himself. 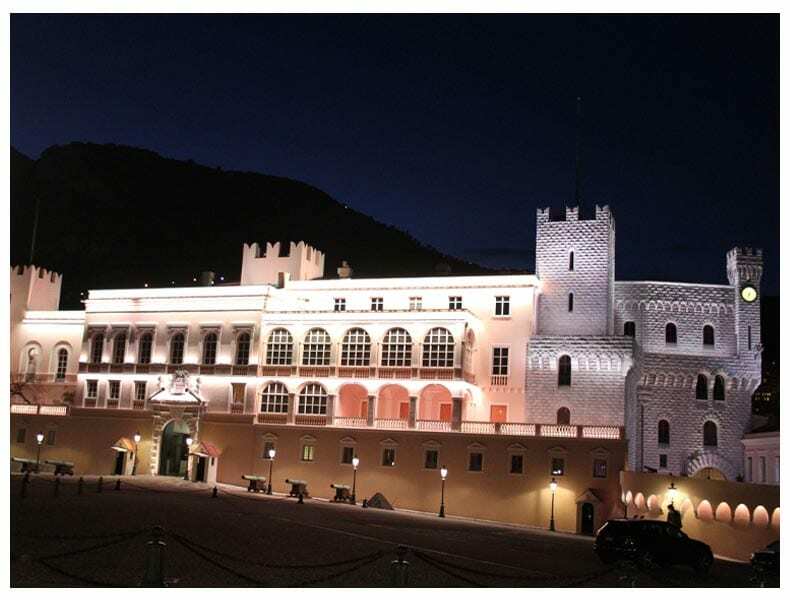 The Prince’s Palace of Monaco is the official residence of the Prince of Monaco and just like in London you can watch the changing of the guards ceremony daily. 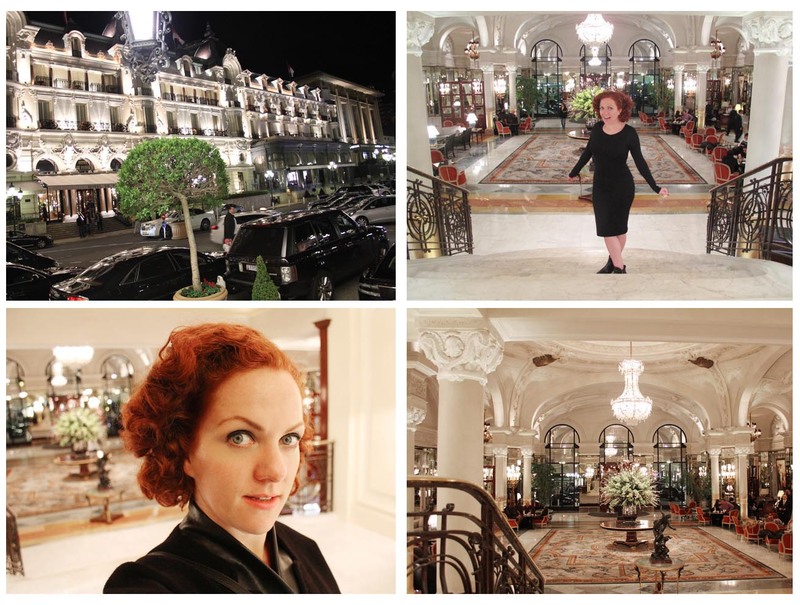 Hotel de Paris: A 5 Star Luxury hotel dedicated to decadence, my kind of place! The Hotel de Paris has long been featured in Hollywood blockbuster movies including Iron Man and several James Bond films. 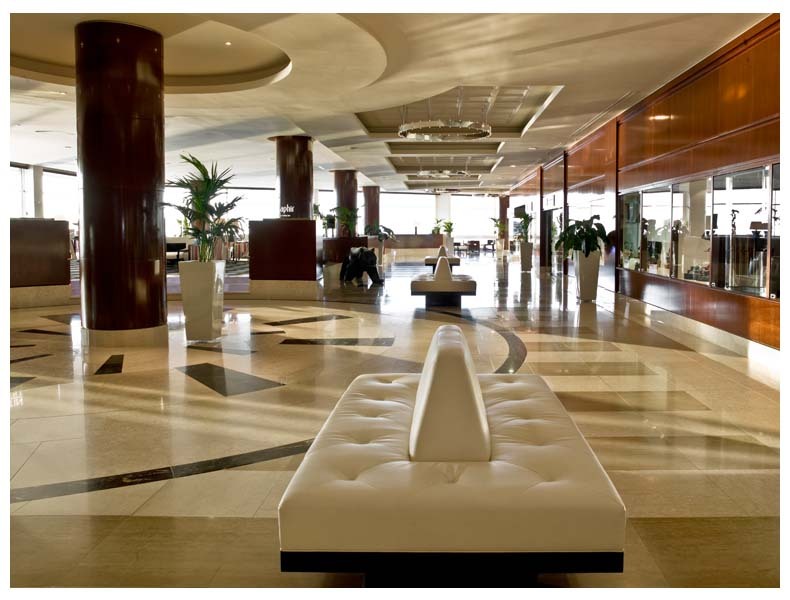 The hotel is regularly listed on the annual Conde Nast Traveller Gold List. 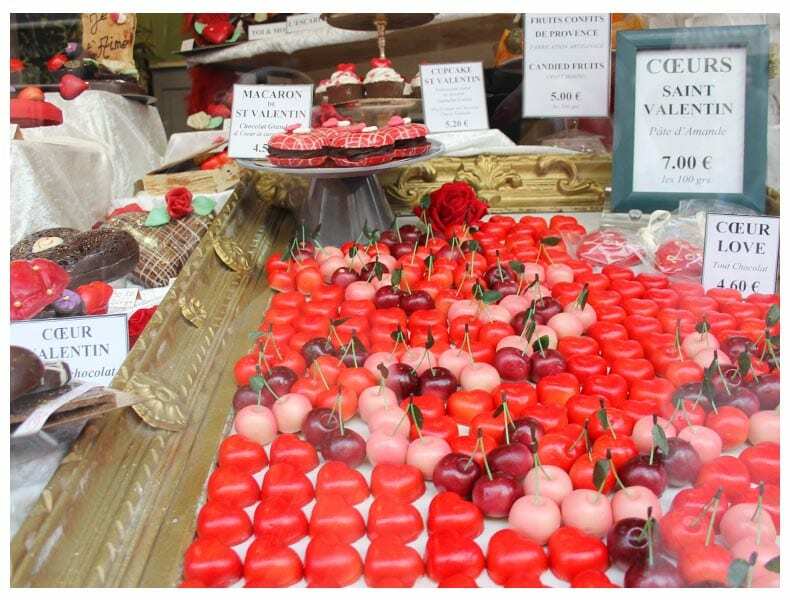 It has notable restaurants, including the Michelin 3-star Louis XV and Michelin-starred Le Grill. The interior is ornate, the floral displays in the lobby are out-of-this-World and there’s a fabulous selection of boutiques inside to shop or just browse. 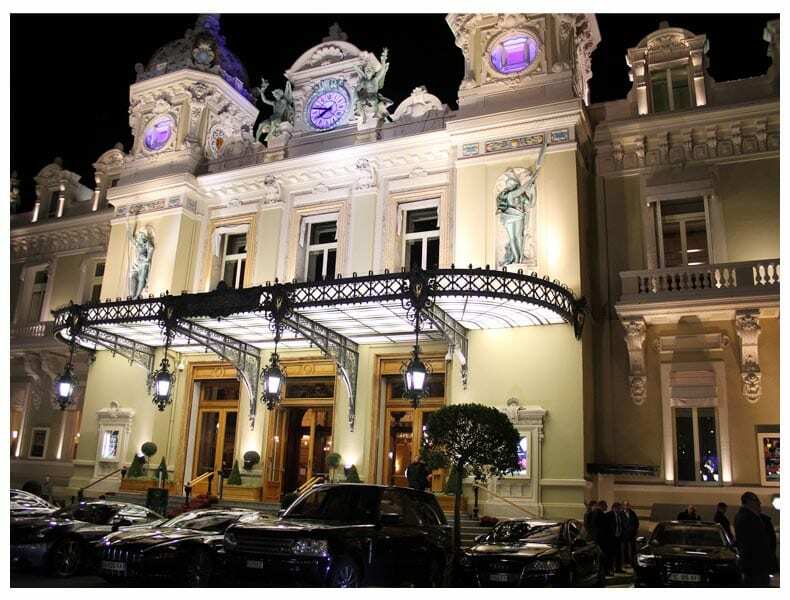 Monte Carlo Casino: Opening the Monte Carlo Casino was a shrewd business decision by Princess Caroline briging in visitors and revenue to the Principality of Monaco. Inside the Casino is opulent to say the very least!! 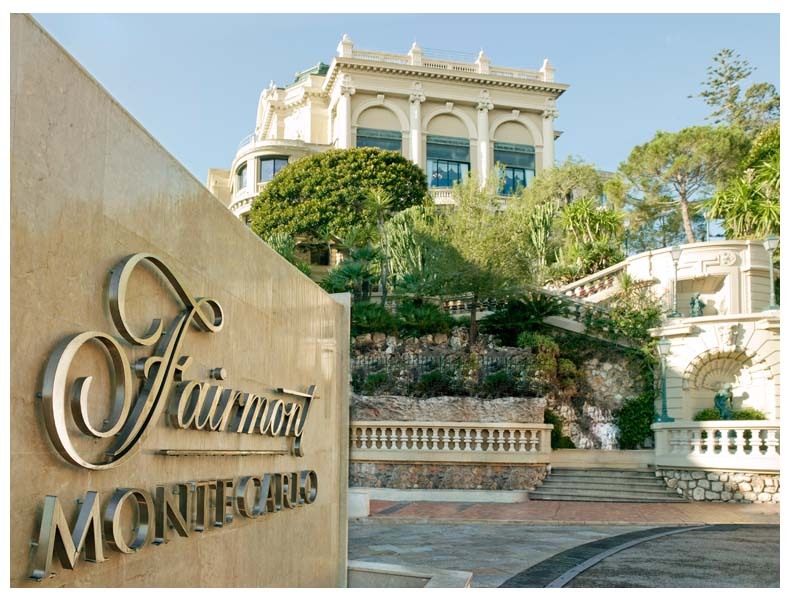 (sadly no cameras were allowed) As well as housing the Casino it includes the Grand Théâtre de Monte Carlo, so is the perfect place for a night out. Outside the Casino you’ll see fleets of shiny sports cars, limousines and chauffeur driven mobiles such as Bentleys and Rolls Royces, sort of makes you feel like you’re living in a high-definifition, super glossy James Bond movie. Fabulous!